Skin disease is irksome and embarrassing as it is visible. There are Mantras to cure this. Recite any of the following Mantras 108 times a day in the morning. Begin on an Shukla Paksha (waxing of the Moon) in any of the following Thithis,in the order of priority. On the concluding day feed the poor, this depends on your budget. Also you may visit Vaitheeswaran Koil,near Mayuram, Tamil Nadu and Vaidya Veeraraghava Swami, Thiruvallur near Chennai. You ma take the prasad, clay from the theertha ..Perform archana for Angaraka at Vaitheeswaran Koil. 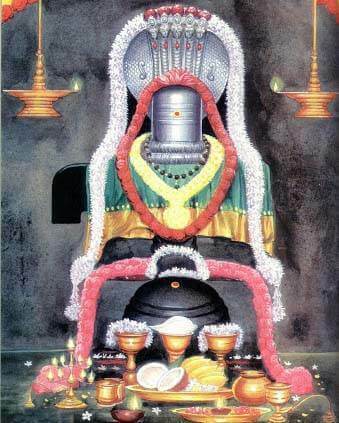 You ma visit Raahu Sthalam at Thirunageswaram, near Kumbakonam and perform archana for Raahu. In addition to any of the following Mantras you choose you may recite Raahu Gayatri 108 times a day for 45 days. 25.4: … sees You, Who is the Enemy of the formidable Taraka (i.e demon Tarakasura), they hasten to Run away Immediately. Rahu represents many ill aspects in general. Rahu is identified with Black Cobra, poison, Zircon, black magic, gambling, black gram, black stone, blade grass (Dhruva in Hindi) menial jobs, slavery, all sorts of skin ailments, venereal deceases, impotency, childlessness, jail/imprisonments etc etc. In short this planet mostly gives only negative results when it is ill placed in one’s horoscope.